If there is something to be said, “It’s On Broadway” to step up and say it!!! Seven years ago Keith Bulluck started ‘The Keith Bulluck Believe and Achieve Foundation’, growing up a foster child Keith understands the challenges that face foster kids. Bulluck’s foundation has hosted charity fundraisers, toy drives, holiday parties for foster kids and their families and donated school supplies for kids over the years in both Tennessee and New York. 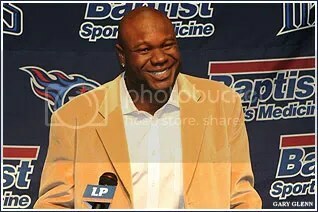 Keith’s work off the field garnered him the “Titans Walter Payton Man of the Year” back in 2007. As Bulluck now continues his football career with the NY Giants he will be honored next month for his charitable work with foster kids by ‘New Yorkers for Children’ organization; Keith will receive the Nicholas Scoppetta Child Welfare Award. Past honorees of the Nicholas Scoppetta Child Welfare Award include Secretary of State Hillary Rodham Clinton, Mary J. Blige, Geoffrey Canada, and Russell Simmons. Rex Chapman Compares Zion Williamson to Rodney Rogers… and it’s a Good Comparison!